Modular buildings can be easily extended, relocated or reused which makes them very flexible. They are all pre-engineered so that they can be quickly installed on site, reducing dust and contaminants that are associated with conventional construction. They are used for education, offices, hospitals, accommodation, meeting rooms and many other purposes hence their doors need to be highly durable and secure. 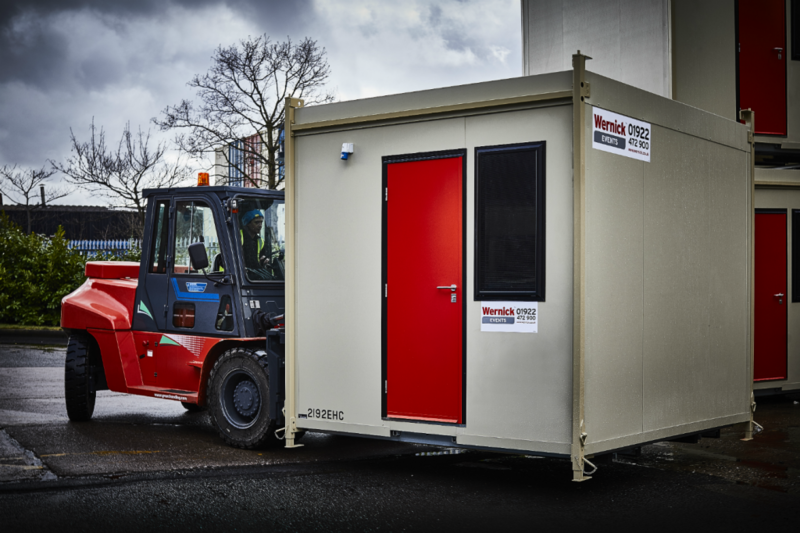 Our recently designed bespoke ModuleX provides a strong and secure solution for all modular buildings, at a competitive price. 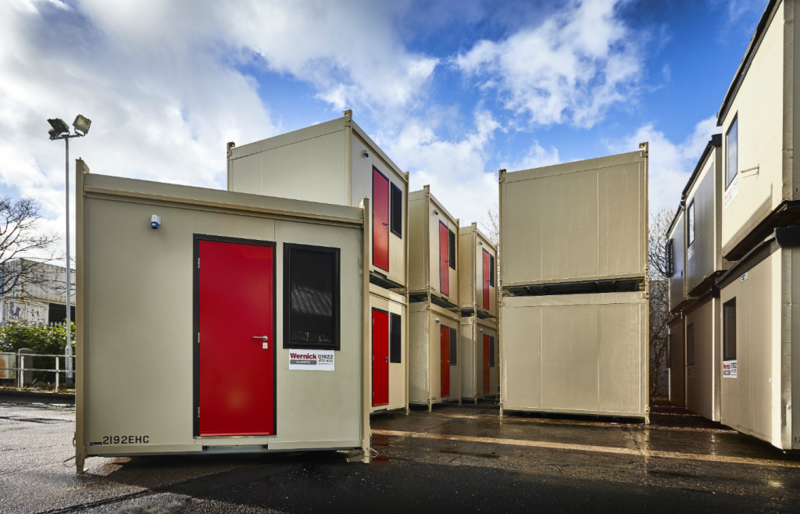 With modular buildings becoming the UK’s go-to structure of choice, more and more people are looking to utilise modular structures for fast, efficient and cost-effective benefits. Speed of build is a particular advantage, with projects being between 30-50% quicker than traditional construction methods. To match this, at Metador we are committed to designing and producing bespoke doors for your modular building in both a timely and accurate fashion, ensuring your needs and specifications are fully met. It’s thought that building modular can remove 80% of the construction activity away from the actual site location. As a result, you can keep your business or organisation running smoothly with minimal impact or disruption. In a similar vein, our security doors offer a simple and easy installation process in a quick completion time of just 40 minutes. Unlike other doors on the market offering an installation time between 50 and 60 minutes, our Defender range, which includes the ModuleX, Safeguard and Xtraguard, takes 25% less. This allows for doors to be installed around existing work or demands that are already in place. The ModuleX features in-built cloaking frame and a 68mm post width, making it more suitable for smaller wall thickness. In addition, our special design threshold eliminates water ingress into the floor of buildings. A key aspect of our ModuleX doorset is delivering an easily adjustable cost-effective solution. In addition, the door is both durable enough to withstand impact and strong enough to provide security reassurances, regardless of its location and use. Our experienced and dedicated R&D team design each doorset to exact customer specification and requirements. In the case of the ModuleX for Wernick Buildings, this included galvanised steel, internal steel strengtheners and 1.5mm thick external skins. 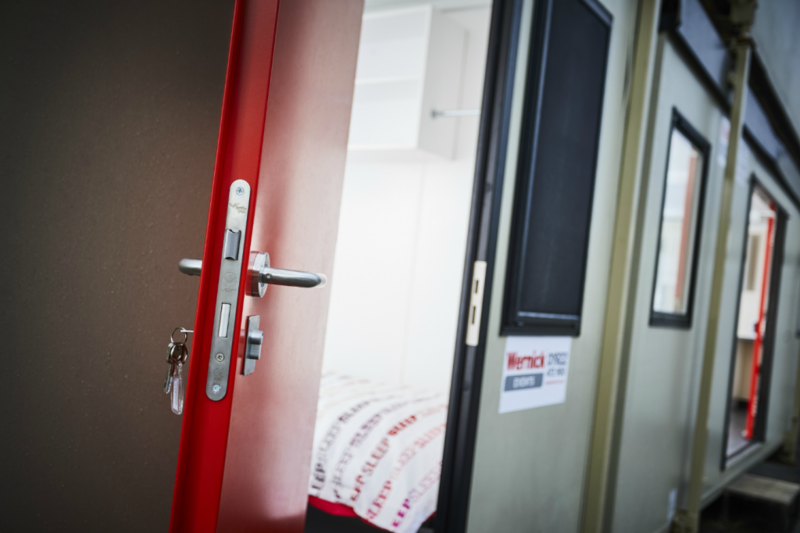 As well as our dedicated ModuleX, a number of other doorsets from our Defender range can be adapted for use in modular buildings and properties. Products suitable for such use include the Defender Safeguard and Xtraguard, each offering high security protection for a variety of locations and environments. Modular buildings can also be secured with emergency exit doors. Combined with panic hardware, emergency exit doors provide a safe and quick means of escape when it’s needed most. This helps ensure buildings meet relevant industry regulations, while keeping occupants as safe as possible. Personnel door locking options include the highly-used DIN lock, digital, electro-magnetic and high security locks which all provide varying levels of security and hassle-free access for permitted persons only. This can be essential for VIP and high security areas. Our range of emergency push bars and touch bars are suitable for public and non-public areas, with BS EN 1125 and BS EN 179 standards applying respectively. All emergency exit doors must adhere to one of these British product standards. As well as the confidence that comes with our CE marking, ISO 9001 proves our ability to consistently meet customer requirements and needs. To find out more about our ModuleX, take a look at the Wernick case study. Or for alternatives, please take a look at our full Defender range and get in touch with our dedicated and experienced team today.